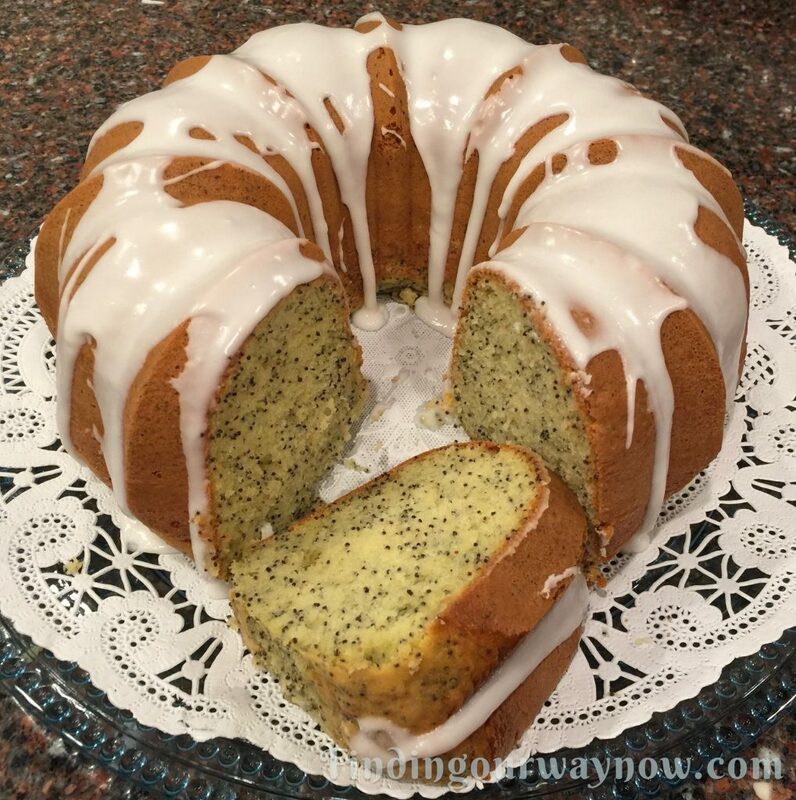 This Lemon Poppy Seed Cake takes me back to my childhood. To say it brings on nostalgic feelings would be an understatement. It was a cake my Mom made often and had been a family favorite for years. Unfortunately somewhere along the line, my Mom’s original recipe was lost. Not really knowing where to begin I started with developing a homemade version. It also occurred to me that my Mom might have used a boxed cake mix as the basis of her final product. It took many months of research and more trials then I care to admit before I was able to get to this point. Below you will find two cake recipes; one is a homemade version, the other is using a boxed cake mix. Following the cake recipes is a glaze recipe, which can be used on either cake. Regardless, which recipe you make, I hope you enjoy either one as much as we do. Ingredients: Makes one cake – 12 servings. Position the oven rack in the center of the oven, preheat to 325°F. Butter* and flour a 10-cup Bundt pan and set aside. Sift the cake flour into a large bowl. Whisk in the baking powder, lemon zest, poppy seeds, and salt together until blended and set aside. Using a stand mixer with a whisk attachment beat the eggs on medium for about one minute until frothy. Add the sugar and beat on high for about 3 minutes until fluffy and light yellow. While the mixer is running on high, stream the oil a little at a time until thoroughly combined. Change out the whisk to a beater attachment. 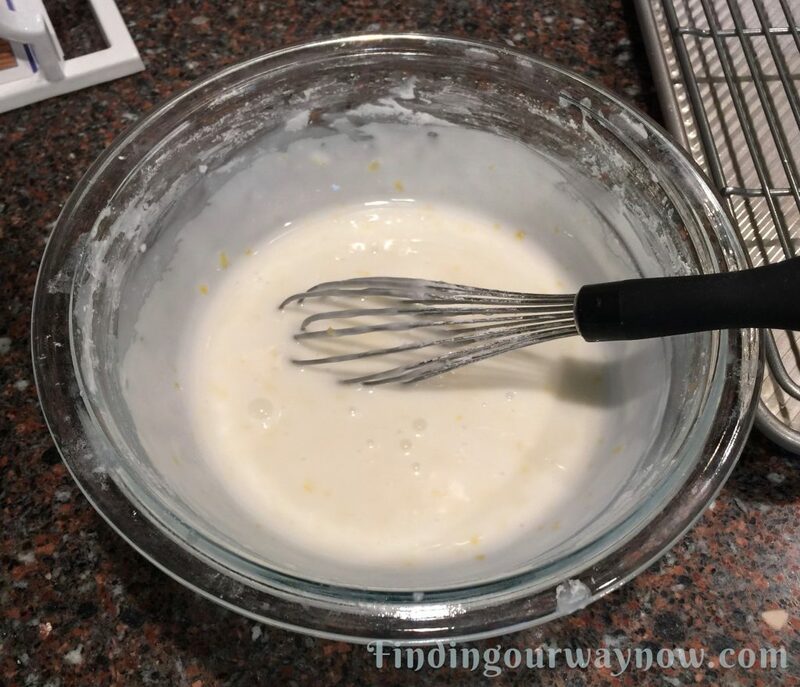 Turn the mixer on low and add the flour mixture a little at a time until just mixed then add the milk, lemon juice, and vanilla until everything is incorporated. Scrape down the sides and bottom of the bowl and give the batter a few stirs by hand. Pour the batter into the prepared Bundt pan. Bake the cake for 40 to 45 minutes, or until the cake begins to pull away from the sides of the pan, and a toothpick or a cake tester inserted in the center part of the ring comes out clean, or a pin thermometer reaches approximately 203°F. Remove the cake from the oven and place on a cooling rack in the pan for 10 minutes before inverting it. Once inverted on a cooling rack, allow the cake to cool completely, about an hour or so. Drizzle the top with a lemon glaze or serve plain. Plain Poppy Seed Cake – Omit the ¼ cup fresh lemon juice & 1 tablespoon of fresh lemon zest. Use ¾ cup half & half milk in its place. Orange Poppy Seed Cake – Omit the ¼ cup fresh lemon juice & 1 tablespoon of fresh lemon zest. Use ¼ cup fresh orange juice & 1 tablespoon of fresh orange zest in its place. 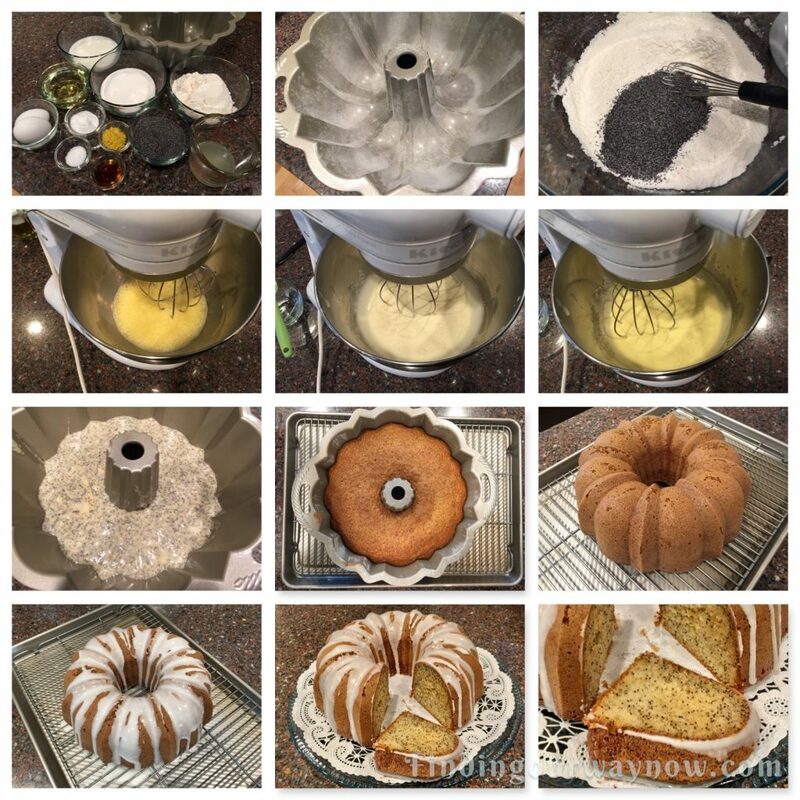 Small Bundt cakes – Bake in a 6-well Bundlette pan, bake for 20 to 22 minutes. Even though the two cakes may look quite similar, they do taste a bit different. This boxed cake mix version it’s quite lemony and is a bit sweeter than the homemade recipe above. I found it to be super fast to make and for some that may have some appeal. Beat the eggs on high until frothy. Add in the milk and beat on high for a minute. While the mixer is running, stream in the oil and continue to mix on high until it’s thoroughly incorporated. Add the dry mixture to the egg mixture and beat for 2 minutes. Scrape down the sides and give the batter a few stirs by hand. Pour the batter into a prepared pan. Bake the cake for 40 to 43 minutes, or until the cake begins to pull away from the sides of the pan, a toothpick or a cake tester inserted in the center part of the ring comes out clean, or a pin thermometer reaches approximately 203°F. Notes: *DO NOT skip buttering and flouring the bundt pan or the cake will not come out very well if at all. To butter the bundt pan, use a pat or two of softened butter and brush it on with a pastry brush. Make sure to thoroughly coat the inside of the pan. Sprinkle the pan with flour and roll it around a bit to help the flour to adhere to the buttered surface. Turn the pan upside down and sharply rap it over plastic wrap over the sink to remove any excess flour. When measuring the flour, use the scoop and swipe method to ensure a level measure. For the Cake mix version, I used a Betty Crocker SuperMoist Lemon Cake Mix. Tip: To bring cold eggs to room temperature in a hurry, fill a small bowl with warm water and add the eggs. Leave the eggs in the warm water for approximately 15 minutes and voila, you’re ready to go. This Lemon Glaze is a no-brainer recipe that makes an excellent addition to this cake. It can also be used on a variety of other cakes, breakfast rolls, scones or a variety of cookies. Place confectioners’ sugar and salt in a medium bowl; add the cream and lemon juice. Stir until smooth and creamy. The glaze will be a bit thick, but still pourable. Add more sugar or liquid, as necessary, to achieve your desired consistency. Orange Glaze: Omitting the lemon juice, use in it place 4 tablespoons fresh orange juice. Vanilla Glaze: Omitting the lemon juice, in its place add 1 more tablespoon cream, 2 to 3 tablespoons warm water and 2 teaspoons clear vanilla extract. 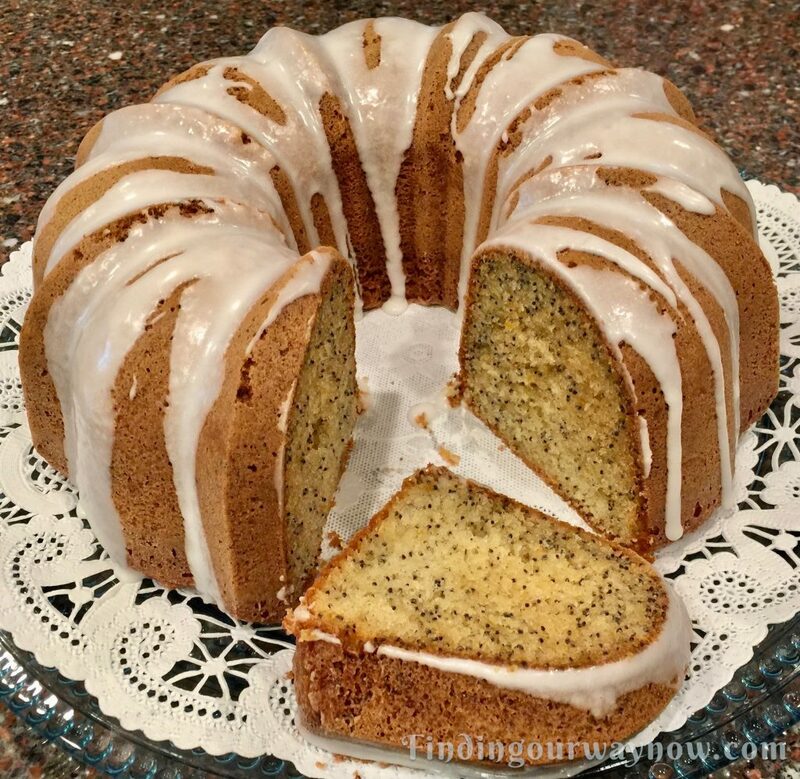 My Lemon Poppy Seed Cake recipe project was both fun and at times frustrating. Regardless, the outcome was so worth it. I was delighted with the final product; I think my Mom would be proud.